Are you a person who doesn’t mind hundreds (or thousands) of unread emails in your inbox? Or do you prefer to keep your inbox pristine? If you prefer it pristine, do you ever find it hard to keep that way? Me too. I deleted over 4,000 emails last week. 4,818 to be exact. I know, you’re shocked. I was also. I’m a fairly organized person, and am generally someone fairly on top of my email organization. But…it had been a number of months since I had done a thorough email inbox cleanup of my email. It had also been a few years since I revisited the process I used to read, store and organize my email inboxes. In all reality, I wasn’t that disorganized. I had just let a few things slide and needed to revisit them. And the best part? The deep cleaning and re-organization only took about 3 hours total, in 30 second to 30 minute increments over a few days. At one point recently, I was maintaining five separate email inboxes. This was too many. I set the lesser-used email addresses to forward to my two primary email addresses. I now maintain one business inbox and one personal inbox. Gmail has a handy feature that let’s you reply from each of the actual addresses, so the email receiver still sees my response as coming from each of the five email addresses. Action Step: Review your email addresses. If possible, consolidate. Within each email inbox, I have a number of folders to set up to file emails. 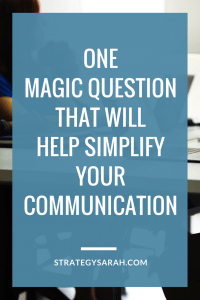 This can range from very simple to complex, and is one area that I tend to update every year or two, as life and business circumstances change. This round, I simplified many of the folders, and removed several. In one example, I had a folder for Recipes that I hadn’t looked at or added anything to in at least three years. I currently save all my digital recipes to Pinterest, in Evernote and/or in Plan to Eat. I didn’t even remember that I had a Recipe folder, and I certainly don’t look for recipes there. I reviewed this folder and deleted recipes I was no longer interested in making, or knew I already had saved elsewhere. I then saved the rest to Plan to Eat, Pinterest or Evernote, and deleted the folder once it was empty. Action Step: Review your current folder structure. Create, edit and delete folders as needed. File emails based on your streamlined organizing system. Note: This was a perfect task to do in the limited 1-2 minute pockets of time throughout the day. If I was already near the computer, I quickly went to that folder, saved one or more recipes, deleted and went on. What could have been tedious in one long session went quickly and utilized time that would have otherwise been unproductive. Almost all of my emails except personal emails are set to skip my inbox and automatically filter into Gmail folders. I had ended up with too many emails that should have been filtered landing in my inbox. I spent some time adding a number of filters, and now only have a few stragglers to deal with. Action Step: Add filters to keep non-critical emails out of your inbox. 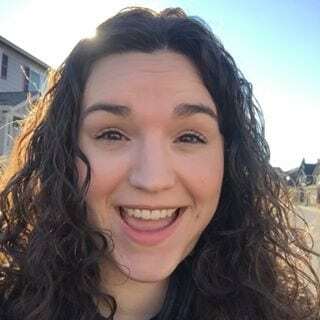 I use Unroll.me, which is a fantastic free service. But I also found that it gave me a false sense of control. I also realized that I very rarely actually opened the daily email digest – which means that all those newsletters and mailing lists that I thought were important enough to roll up, I didn’t think were actually important enough to read.I unsubscribed to a lot more newsletters, and took most other newsletters out of unroll.me so that they would get the attention they deserve. Action Step: Unsubscribe from email lists you no longer need or use – liberally! This was the most satisfying step for me, but also the one I recognize as the least important. If you’re skipping any step, I would skip this one. As I was re-doing a number of my filters, I realized I had emails back as far as 2006 that there was no good reason to hang onto anymore – even if I did technically have the space in the inbox. Now, a few thousand of those emails were in folders that really didn’t matter if they stayed or went. Gmail also has enough storage space that I could have left them for years and never run into issues. But I gained the same huge sense of satisfaction from knowing that I don’t have Nordstrom Rack sales emails from 2008 hiding in a folder as I do from cleaning out the storage shed of never-used items that are hidden from regular view. Yes, it may be a bit of an overachiever, but I’m okay with that. Action Step: Delete old emails and free up inbox space! 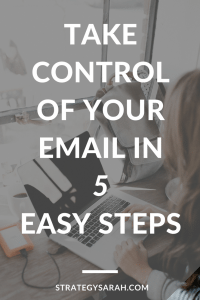 What is your biggest obstacle to email control? 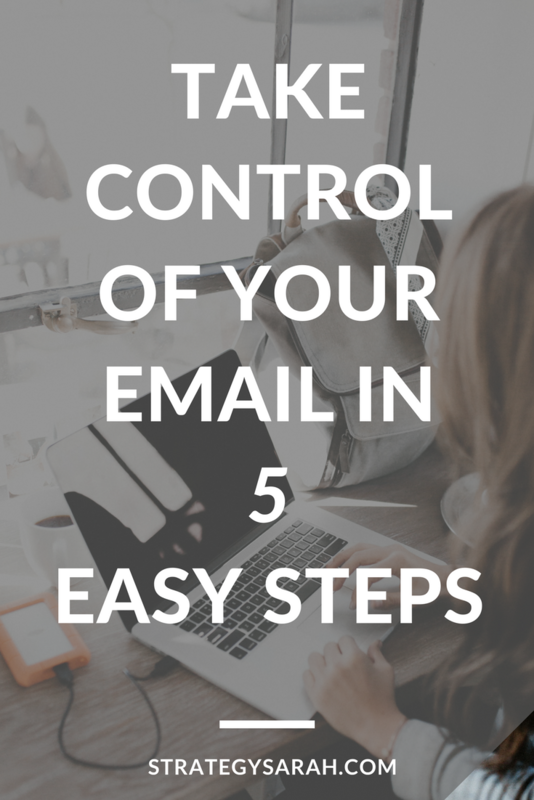 What other tips do you have for staying on top of the email mess? As a working mom (or, really, all busy women), reading time is precious. I love to read, so it’s something I prioritize. It’s rare for any of us to have built-in lengthy blocks of time to read, but with some creativity, it’s possible to use “found time” to read every day. 1. Read while waiting in line. How do we spend so much time waiting in lines? There’s the grocery store checkout line, the carpool line, the cafeteria line, waiting the pediatrician’s office, endless at the airport, and so many more. Waiting in line is a brilliant time to get a page or two in. You’ll be surprised at how quickly those pages add up! You know this people who walk around looking like total nerds with their nose in a book? That was totally me as a kid. This habit faded some as a young adult when I realized just how odd it looked (and started caring!). The rise of the smartphone and reading apps means that it’s now ridiculously easy to read while walking. Since everyone is staring at their phone, it’s not weird. Nerds everywhere, rejoice! Granted, most of them may be watching YouTube videos and trolling Instagram instead of reading books. For better or worse, it’s now fully culturally acceptable to walk around with your eyes on your smartphone. If you’re not into the nose-in-a-phone look, this is also a great time to read audiobooks. Bonus! You get in steps and can feel good about ‘exercising’ while you read. I’ve taken more than one stroll around the neighborhood to exercise with a primary goal of getting some reading time in. 3. Read while your kids do their homework, play or nap. While I love the Kindle app for out-and-about reading, nothing beats my kids seeing me reading a physical book. Back to that note about everyone having their eyes on a smartphone – like the rest of the world, my kids have no idea if I’m reading the finest literature or the worst fake news their is. I would rather model the importance of reading than the not-so-importance of staring at a phone. Yes, family reading time often means endless Dr. Seuss read-alouds, but I can get in a few pages here and there while they are drawing, coloring, playing with legos or building forts (or, more likely, running around like wild men). But keep your eyes on the road! 🙂 Audiobooks are a wonder for general driving and commute-time reading. I prefer to listen to nonfiction, so this is a great way to get in books that I might not otherwise prioritize. 5. Read instead of watching TV. This one should be a bit of a no-brainer. 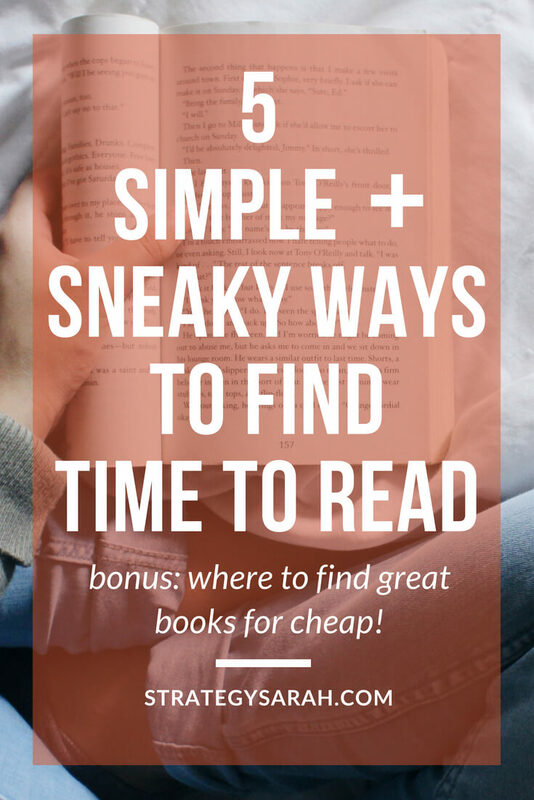 If you’re looking for more reading time, and spending any time watching TV, simply swap out TV time for reading time. My husband will often watch a show he’s interested in while I read a book. We can still spend time together, but each get to prioritize the entertainment more important to us. At the rate I read, the cost of books can add up quickly. Several years ago, after complaining commenting about how much my husband’s video games cost, I was quite shocked to discover that on a per-hour usage basis, buying books was more expensive than buying video games. In an effort at frugality, I read a whole bunch of terrible free ebooks before I wised up to the fact that there are much easier free and relatively cheap ways to acquire electronic reading material. My current favorite ways to acquire ebooks and audiobooks are the public library, Scribd and Audible. Not sure what Scribd or Audible are? Keep reading! It’s free! In a addition to physical books, most local libraries have fully embraced the ebook trend. I am able to go online and check out ebooks and audiobooks from a fairly large catalog of books. It’s rare that the library doesn’t own an electronic copy of something that I read. I love using the library’s online reservation feature even for physical books. Since library trips are usually outings with my kids, it’s fantastic to be able to grab my own books from the hold shelf. Then we can quickly head to the kids section and avoid the inevitable running, shouting and “Mom, I’m bored” while I leisurely browse. The one downside to library usage is that newer titles often have holds and the wait time can be fairly lengthy. I don’t often need to read any particular book immediately, but sometimes I’m impatient and don’t want to wait. In that case, I use one of the next options. Scribd is essentially a “Netflix for books and audiobooks.” Users pay a monthly subscription fee (currently $8.99) for unlimited access to the entire Scribd catalog of both ebooks and audiobooks. Scribd has a fairly large catalog of new and popular titles, as well as older titles. When I first signed up for a free trial month of Scribd (Scribd offers a free 30 day trial to new subscribers*), I wasn’t sure if I’d read enough for the cost to be worth it or not. I’ve found that it’s proven well worth it and am currently a paying subscriber. In the three months I’ve had Scribd, I’ve read 4 fiction books, 2 nonfiction books, listened to 2 nonfiction audiobooks, 7 kids audiobooks and the numbers are still going up. Of the ones I’ve checked, over half of those are books that the library either didn’t have or had a waitlist for. One potential downside, depending on your reading habits, is that many titles are only stocked in either ebook or audiobook form. There are a number of non-fiction books that I was hoping to read in ebook form that Scribd only has as audiobooks. This is good for my commute time reading, but not good for when I want to see words on a page screen. My husband signed up for an Audible membership last year and has exponentially increased the number of books he read. He’s read more non-fiction in the last year than I have, which is saying something! Audible has all the titles we’ve ever wanted to purchase, and often has deals for additional ‘credits’ at below market price. Audible is more expensive than the library or Scribd, but by paying attention to credit price and taking advantage of deals and sales, it’s possible to be strategic and save money on a per-title basis compared to buying at full price. Additionally, the benefit of owning titles ‘forever’ vs a subscription-based model is a big appeal for some people (i.e. my husband). If all else fails, you can pay “full price” and buy your ebooks on Amazon. Some ebooks are cheaper than others, and Amazon has many daily Kindle deals. With patience, it’s possible to get what you’re looking for at a cheap price. With these five reading strategies and four ways to find and get great books, what will you read next? Can you afford not to fill your tank today? The gas gauge flashed. 9 miles to empty. 9 miles to empty?! How did that happen? Wasn’t it just 35 miles? Oh, right. That had been three days ago, and I had repeatedly put off filling the tank. I recently returned from a business trip, and had been late to one thing after another since my return. First it was an evening event, then daycare drop off, then daycare pickup. There was never enough time! This particular morning, I’d left the house later than I intended and was already going to be 5 minutes late for a meeting. Fortunately, it was a meeting that a few attendees weren’t local and would already be calling in for. I’d forgotten I needed to get gas…again. As I drove, I glanced at the “9 miles to empty” flashing and mentally debated if I could make it to work and get gas afterword. Then I realized…this is ridiculous. If I’m already going to call in for the first 5 minutes of the meeting, calling in for the first 10 doesn’t matter. Running out of gas on the side of the road does. Why was I not willing to prioritize my own wellness? I stopped and got gas. I was still late. I joined the meeting via conference call until I got to the office. It didn’t matter. The world kept spinning. I participated meaningfully in my work. And I filled my tank. 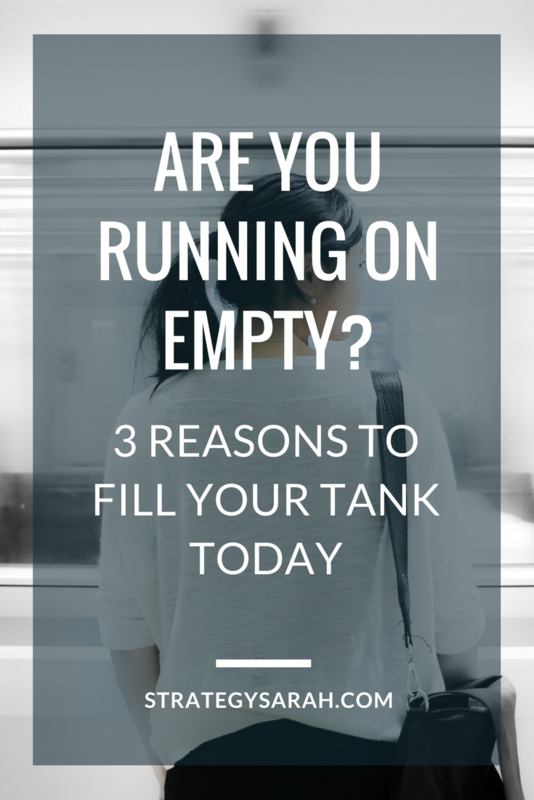 Are you running on empty today? Running on empty is a cliche, but it took literally running my vehicle on empty for me to realize how off balance and empty I was running. No matter how hard we try to avoid it, there are times when life simply is chaotic and crazy. Even in the midst of the chaos and crazy, filling our own tank is one of the most important things we can do. You can’t afford not to. It’s easy to think, “Oh it can wait just a little longer” (whatever it is in your case). In reality, more often than not, delaying addressing something simply makes the problem worse. In this case, it was still easily solvable, just more expensive. That’s not always the case. I overpaid because I didn’t plan ahead and defaulted to the most convenient option in a desperate moment. A minor situation was more costly because I didn’t address it right away. What do you need to address before it becomes more costly? Don’t play a a game of “how far can this go.” You’ll give a situation far more mental weight than it deserves. If I had simply prioritized getting gas earlier, I wouldn’t have had to think about it every time I got in the car, already stressed and running late. I created additional, needless stress and decision-making fatigue at a time I couldn’t afford it. I could have paid the same convenience fee three days earlier and avoided the repeated stress every time I got in the car and realized I’d forgotten yet again. Where are you creating additional stress and fatigue that you can’t afford? I know, it’s counter-intuitive. 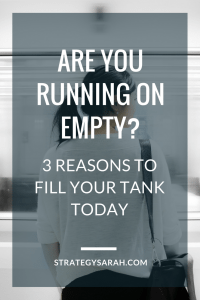 One of the key reasons we don’t fill our tanks – literally or figuratively – is that we wrongly assume we can’t afford the time or money to take care of the tank-filling in the midst of our other responsibilities. Nothing could be further from the truth. If we’re constantly running on empty, we have nothing left to give. Our focus inadvertently becomes on our own survival, even when we most want it to focus on other people, goals and responsibilities. Be proactive and do something that fills your tank today – before you’re running on empty. You’ll be happier, less stressed, and ultimately far more productive. Problem-solving skills. They’re critical. And yet, how often do we think through how we can improve our skills? Not often? Well, let’s change that. 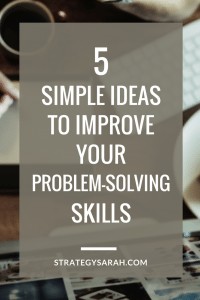 Let’s examine 5 simple ideas to improve your problem-solving skills at work and in life, courtesy of a recent pediatrician visit. Recently, the issue was severe enough that we checked in with the pediatrician to see what else we could do to solve the problem. Use something drastic to get the pipes moving again. And…set a schedule for consistency. It doesn’t matter if the act is successful or not, reward the consistent effort. We also learned that with chronic issues, it can take several months for things to get fully back to normal. It struck me how well these same tips apply to most of the common challenges we face in life and in our work. We can use these ideas for broad solutions across most areas of life, not solely bodily functions. 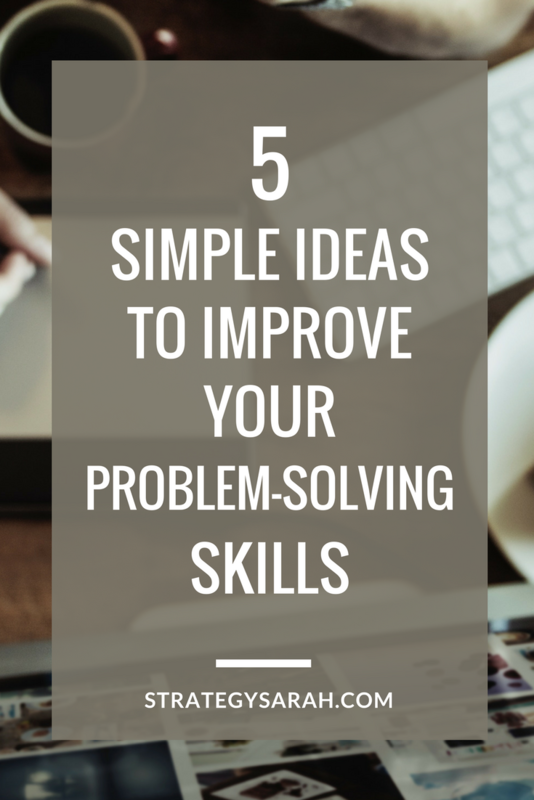 Keep reading for five simple ideas to improve your problem-solving skills at work and at home. 1. Pay attention to input. Are the inputs helping or hurting the problem? Do you need to include additional people in a conversation or decision-making process? Are there too many people involved? Do you have the right information? Are you asking the right questions? Having the right inputs can make a project infinitely easier. The wrong inputs can make a project impossible to complete. 2. Take extreme measures to reset when you’ve got an acute problem. For many challenges, baby steps make enough of a difference. But sometimes we need to use extreme measures to hit reset. This is one reason crash diets are so popular. In your work, do you need to stop doing something (or multiple somethings) completely to give focus to a priority? Or completely change the team working on a problem? Maybe the solution is a completely new process, system or tool. Extreme measures can feel risky, but have potential for big payoff. 3. Be consistent. Build a habit. Whether the solution is a drastic change or baby steps, be consistent in your implementation of the new approach. If it’s something time bound, set a timer or calendar reminder. You can also consider finding a trigger action. For example, one trigger could be that after every meeting, you send out meeting notes immediately. There are times that no matter how much effort we put in, the outcome is our of our control. In those instances, consistent effort and habit creation is worth rewarding. Ultimately, consistent execution of the right actions will produce results. 5. Recognize that lasting change takes time. While consistent application of be right action produces results, there’s no guarantee those results will come quickly. It’s important to recognize that lasting change takes time. By rewarding consistent action, you ensure that you stick with it long enough to produce results. Applying these simple ideas as a framework to improve problem-solving skills can immediately improve your success rate. What challenge are you facing today? Which idea will you implement? Try one (or more!) of these ideas out. Then email me and let me know how it went! How many times have you been the newbie in a certain situation where someone throws out terms, acronyms, perhaps even topics that are completely foreign to you? Did you feel lost? Confused? Like an outsider? It’s also an experience that can be easily avoided. In the last year, one of our children has had some significant behavior challenges. In the process of sorting that out and getting him the help he needs, we were dumped into a whole new world. A world involving the school system, various therapies, specialists, doctors and more. On top of being an overwhelming, highly emotional process, there were more basic communication barriers than I expected. I was surprised just how often I felt like I was speaking a foreign language. It was a great reminder to think through how I communicate to others. We’re all guilty of communicating in overly complicated language and using jargon and terminology that’s not nearly as common as we think it is. How do you communicate new information to your employees, team, and customers? Do you make assumptions about their baseline knowledge and what they already know? Are there acronyms that need to be explained? Is there terminology that may not be broadly familiar? What about systems, tools, departments or teams that need to be explained or put in context? I was recently conducting training sessions on a new software rollout, and realized that I was going way too fast for the audience. It’s a technology that I’ve used for years, and a process that I’m incredibly familiar with. Because the users are familiar with the process, I forgot just how new the technology was. It took a passing comment about how fast I was flying through the information to remind me that I needed to slow down, explain more thoroughly, and remember what it was like to be new. Don’t assume that everyone is starting from the same place. How many times have you gotten through an entire conversation with someone, thinking you were talking about the same thing, only to realize you had an entirely different frame of reference as a starting point and weren’t talking about the same thing at all? The intent is “Would anyone not at all familiar with this subject be able to understand my communication?” My mom doesn’t work in the business world, so it’s a perfect question. If your mom does, change up the test to ask the question of anyone else who is unfamiliar with the world in which you are communicating. 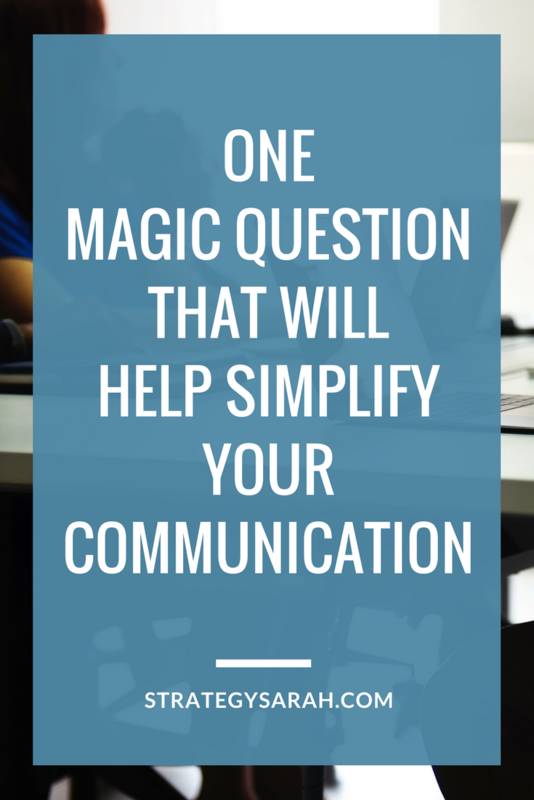 If the answer is “No,” simplify your communication. You may want to add definitions, explain acronyms, clarify statements and generally slow down. It’s entirely too easy to share information at a master’s degree level when the audience is still in metaphorically elementary school. Use the mom test to simplify your communication and share the right level of information with the right audience at the right time.